Looking for great apps at a fraction of their regular cost? We’ve found 72 iPhone and iPad apps that are currently on sale. 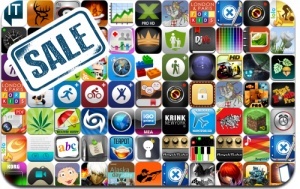 This app deal alert includes The King Of Fighters-i, Real Racing 2, Metal Slug 3, Grandma’s Garden, Scratch, Batman Arkham City Lockdown, Private Albums, Krink, AmpliTube, Korg iKaossilator, MapMyRun/Ride/Fitness, and many others.